Inspired in part by Hastings Sanderson over at Is That an Apres?, who is thinking of embarking on an extensive graphed needlework project, I went out web-walking to see if others were using GIMP for needlework graphs. 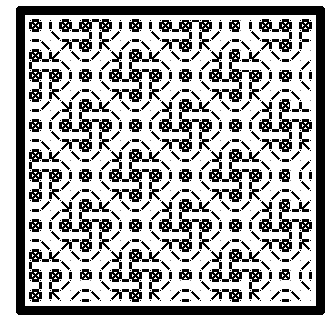 In addition to my own set of tutorials on using it for line unit patterns (backstitch, double running, punto scritto, Holbein stitch, etc.) 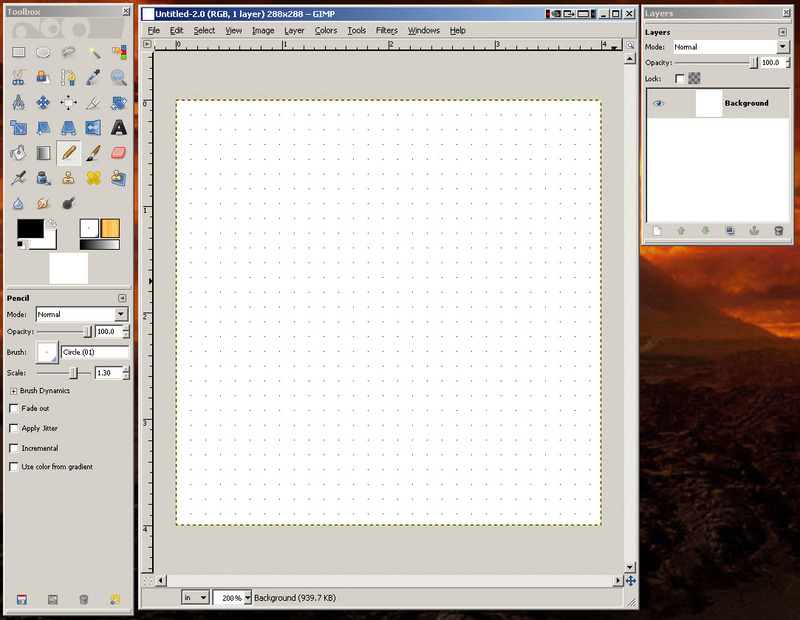 I note this tutorial on using GIMP to transform photos into cross stitch graphs, and a GIMP plug in for that purpose. 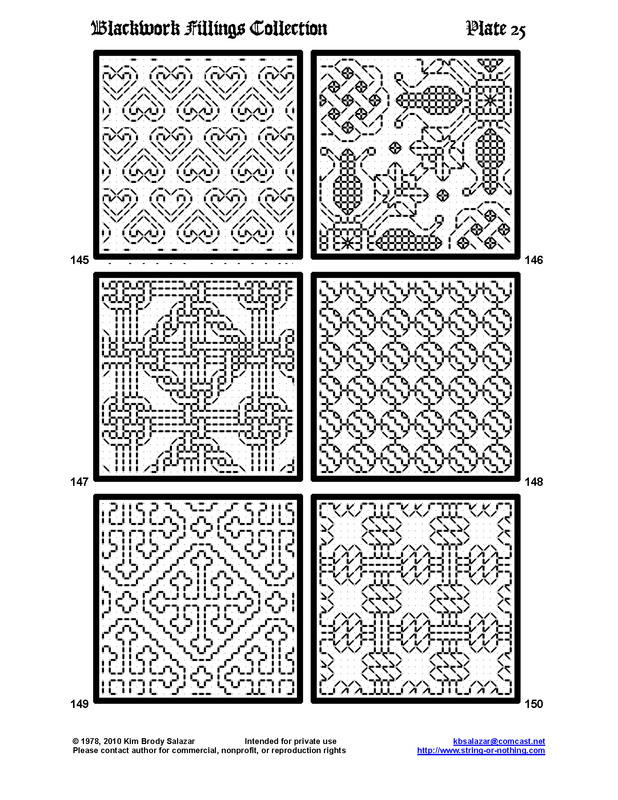 I’ve also adapted my method for use with square unit graphs (cross stitch, needlepoint, lacis, burato, knitting), but it’s not as elegant as the commercial programs designed in specific for needlepoint or cross stitch. 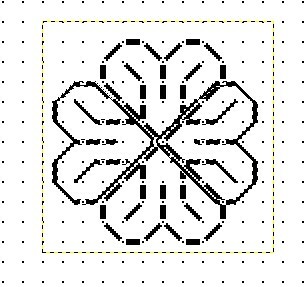 However, in all cases, I find very few folk have successfully used GIMP for needlework charting. The most prominent feedback on my method is that few people have the time or patience to establish the base templates. So, to give others a leg up on creating their own charts, I offer up my base pages. These are 8.5 x 11 (US letter size) pages, each set up with the layers needed for graphing. They are intended to be used with the grid spacings and brush sizes specified in my tutorial. They are based on the ones I’m using right now for T2CM, the sequel to my New Carolingian Modelbook. 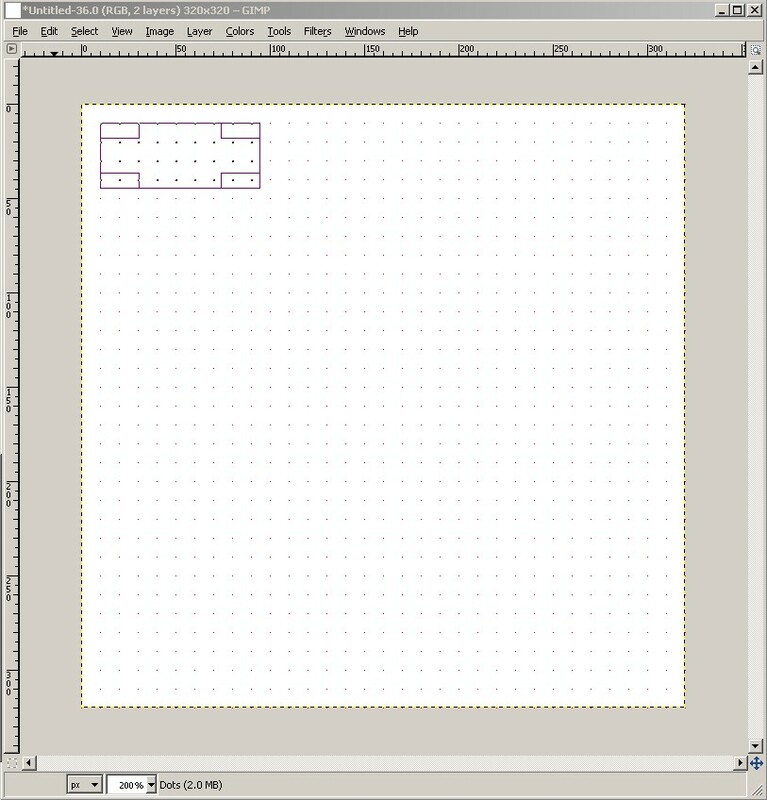 Remember – after opening these templates go back and change your grid spacing and brush sizes to those specified in the GIMP series here. Then have fun! 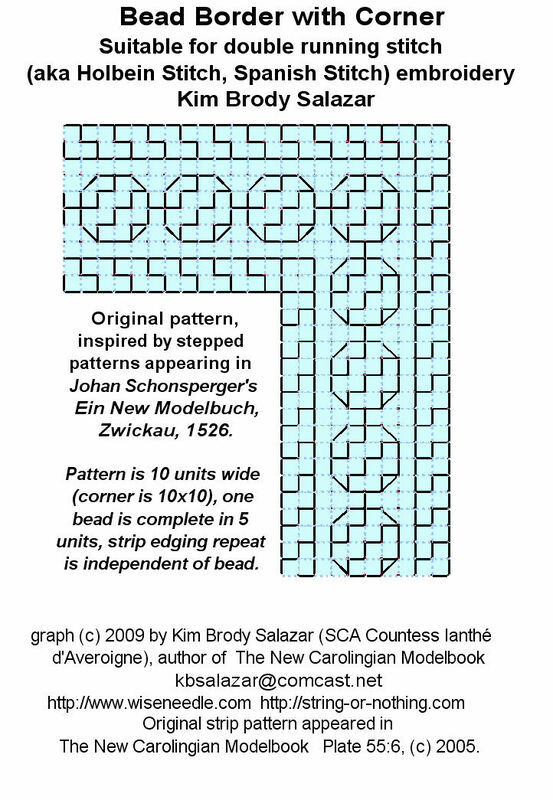 #149 was inspired by an edging in Schonsperger’s 1526 Ein New Modelbuch. His was a strip. Mine takes the main motif from his strip and inserts it into a lozenge. #147 builds on the interlace construction principles in pattern #67 of my first booklet, although this one is rendered as a line unit design instead of in block like square units. So there you have it. 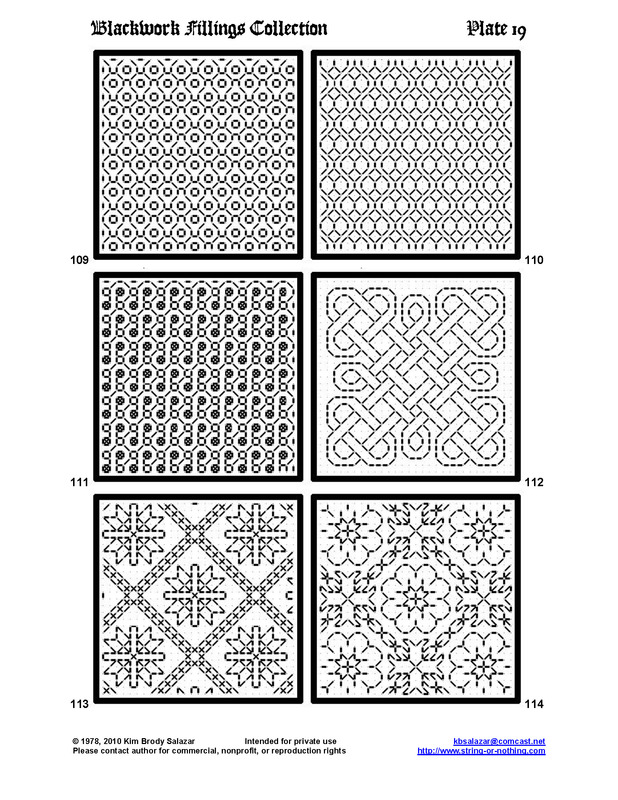 150 different blackwork filling patterns; some simple, some complex. And I could easily come up with another 150. But it would be more fun to see what others devise. I hope to have the PDF format booklet, with cover and intro essay out by the end of the holiday season. It will be available for free download here. Printing or Saving: If you print out the pages constructed by the method in my tutorial you will probably find that the designs are rendered too small for easy use unless you use an enlargement factor via your printer driver dialog (the print settings dialog invoked when you issue a print command). 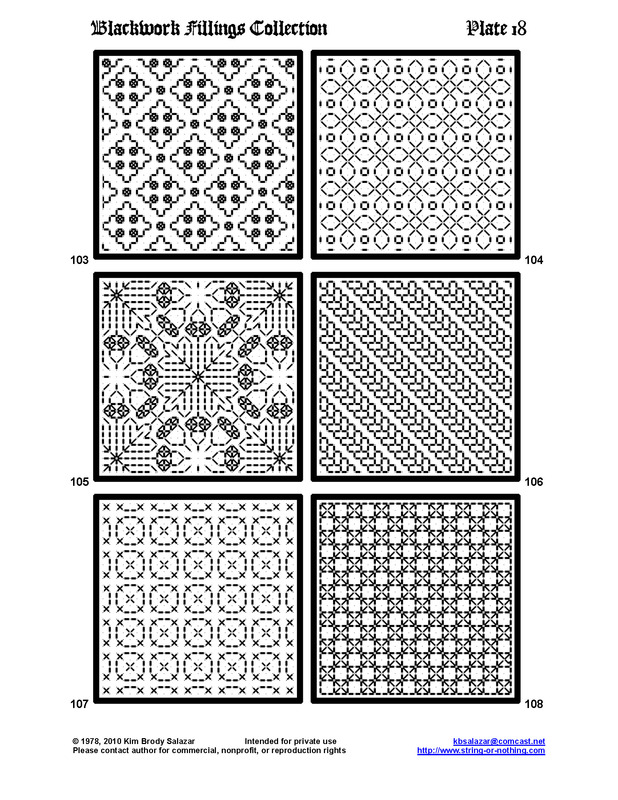 BUT if crop your pattern, removing any unused page area, then you save your piece as a *.jpg or *.gif, like I did for the individual squares, the pattern won’t shrink down to teenytiny, and will be as readable as mine. Please let me know if you’ve found these pages or the GIMP tutorial to be useful. I’d especially enjoy seeing works done using one of my 150. However, I do request that all users abide by the restrictions noted in my kick-off post. If you are using these patterns for your own personal enjoyment or as a gift, have fun! 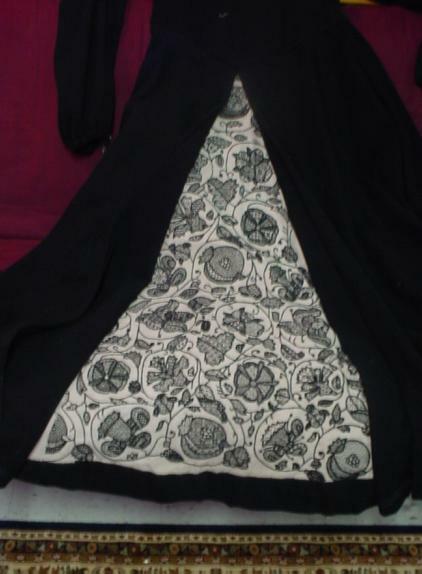 If you are intending on selling works derived from them – including stitched finished pieces, or issuing kits or publishing your own patterns using any of these designs – either for profit or charitable sale or donation for eventual sale – please do me the courtesy of sending me a note prior to doing so. In all probability I’ll be delighted and ask nothing more than a bibliographic source statement in your pattern’s literature or hang tag noting the source of some of your fillings, and providing link back here. As soon as the book is up and the link is stable, I will be happy to provide the bibliographic citation’s format. But asking permission first would be a positive, noble and honorable act, for which I thank you in advance. More doodles from my notebooks, both old and recent, but I have not published any of these before. The interlace in #112 reminds me a lot of some of the more famous portraits of Henry VIII, but there’s nothing on any of them that is a direct parallel, and nothing about it that would limit its use to Henry’s lifetime. It would be killer done either infilled in gold, or on a voided background, perhaps on a book cover, pouch or sweet bag. Sweet bags were sort of like Elizabethan/Stuart gift wrapping. They were little decorative purses used to convey small presents. Similar small stitched bags were sometimes used as needlework tool kits (occasionally they come with a matching pincushion), or to hold mirrors or other grooming aids. On the charting tutorial, other than a couple of install queries and a nastygram noting that I’m an idiot for giving away the pattern pages, I’ve had almost no feedback, so I am unsure of what problems folk are facing. I can’t say I can answer every question and I certainly am no computer expert, but I’ll try. And I do have evidence that people are finding these posts useful, so nastywriter – take a hike. 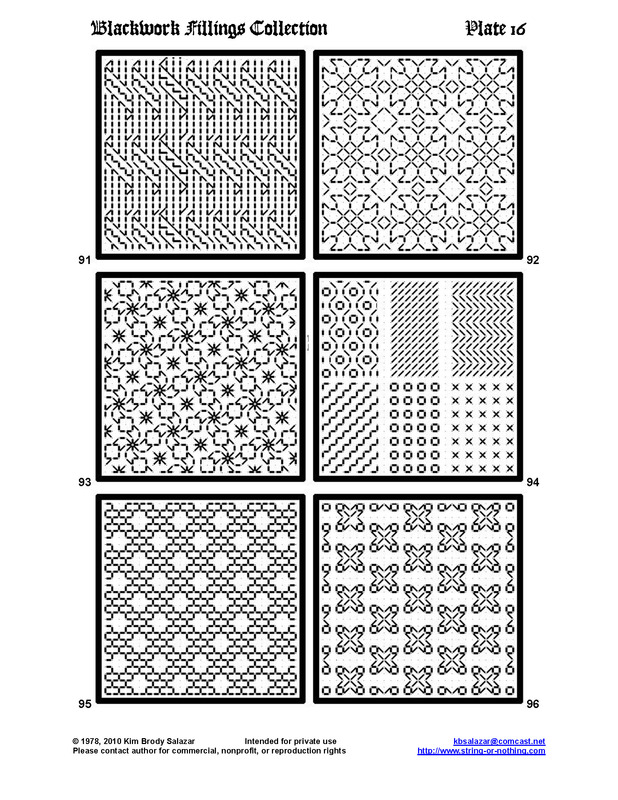 In fact, if anyone is or has done stitching based on these patterns, please feel free to send me a picture or a link. With your permission, I’ll repost the image or the link here in the gallery of works done based on my patterns. Now draw a new line on top of the segment you want to disappear. This is very useful for small touch-ups rather than wholesale deletions. Another way to erase: Select the Eraser tool from the Toolbox (looks like a little piece of pink bubblegum). Set the brush size to something larger than the Circle(01) setting we use for drawing. Make sure the Hard Edge box is checked. Drag the eraser over the part that needs to go. Not quite as fine-tuned as the method above, but effective. Yet another way to erase: Use one of the selection tools (the square, circle, lasso, wand or color select icons at the top of the Toolbox) to highlight the offending bit. Hit your delete key. Note that I’ve got the first option under Affect selected – that flips the entire (temporary) layer where the bit I just pasted lives. That flips my image over. Now comes a tricky bit. One would think that once the bit has been flipped, it can be easily dragged into place. Not reliably so. I’m not sure why, but switching to the Move icon (the four-way arrow) and trying to drag the bit around doesn’t work. What I usually do is after flipping the image so that it’s in the orientation I want, and while it’s still twinkly, I use <ctrl>X to cut it into the paste buffer, then paste it back into the drawing with <ctrl>V. NOW I can mouse over it until I get the movement icon (looks like a four-way arrow) to drag it into position. It sounds complex, but since most of the work is control-key or arrow presses (see tweaking, below), it’s really quite quick and easy. Sometimes when a pasted, rotated, or moved bit is inserted into the drawing it ends up being out of alignment on the grid. This is because the selection box is constrained in size so that even if its origin is on the grid, its termination is one pixel shy. However, fixing minor alignment problems is easy. Select your offending bit (the lower heart in the sample below), and use your keyboard arrow keys to nudge it into place. Again, like in Flip, I have the best success doing this by selecting, <ctrl>X to cut, <ctrl>Y to paste, then using the arrow keys to nudge the pasted bit into place. Please don’t ask me why the Move command doesn’t seem to work reliably for this. I haven’t a clue. 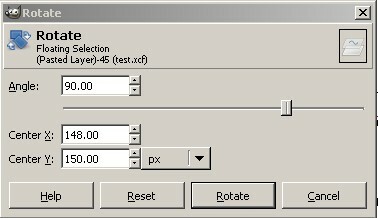 Rather than drive myself nuts trying to freehand rotate, I type my desired angle into the Angle box in the rotate dialog. In our case that’s an easy 90, 45 or 180 degrees. Usually 90. Then I click on the “Rotate” button in the Rotate dialog box. And here’s the same image, after I’ve nudged the two new petals (at 9:00 and 3:00) into final position using my arrow keys. Anchoring temporary or floating windows: Sometimes I end up with a floating or temporary window that I want to merge into my main pattern area. Easy. <ctrl>H nails it down. Deselecting all selection boxes: Sometimes I want to pencil in a line, but click as I might, no line appears. What’s usually happened is that I’ve got a selection box active somewhere. <Shift><ctrl>A will turn off any that might be in use. So ends this basic GIMP charting tutorial. We’ve only touched on some of the simplest options and commands available in GIMP, but covered most of the tools needed for this type of charting. I will leave color selection to you, but I’ll report back when I’ve figured out cloning via the Stamp tool. Please let me know if you have found this to be useful. #103 and #108 are fillings I’ve stitched before on my underskirt, coif and other projects. The rest are new. To be immodest, I’m quite fond of my acorns (#105). I think that will have to end up on my current work in progress. Yes, I do have another work in progress, and no – you haven’t missed it. I haven’t previewed here yet. 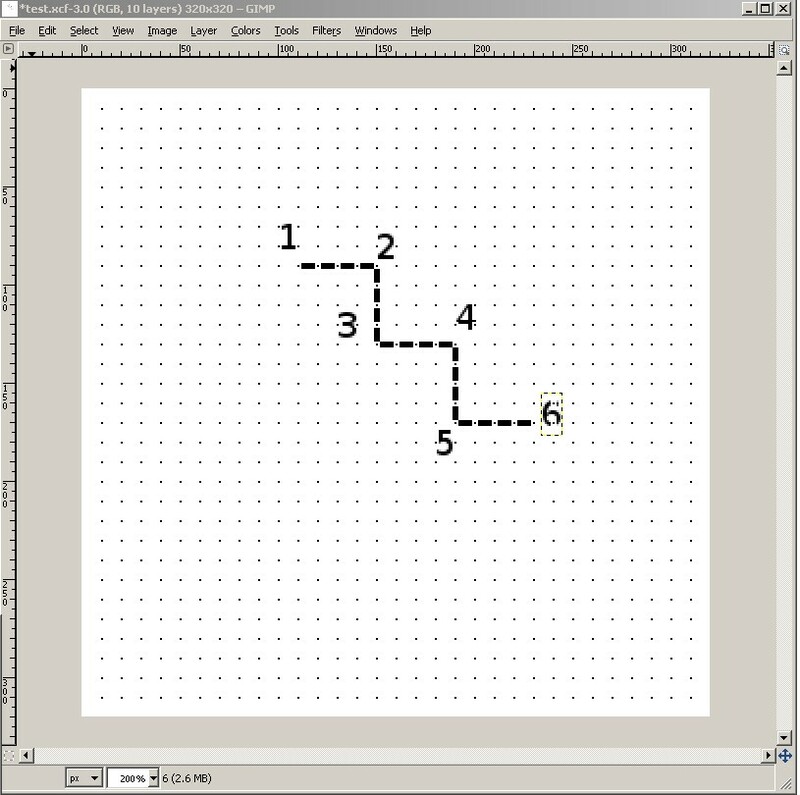 GIMP Charting Tutorial 105 – Finally! Drawing The Design. If you’ve been following along, you should now have a GIMP document with four layers in it, a background, a dots layer, one called PATTERN HERE, and one entitled Donuts. We’re now ready to draw. 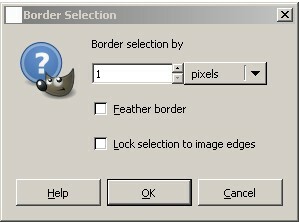 Using the Layer Navigation window, click on the PATTERN HERE layer. Obviously, all drawing will happen here. If you’ve saved, quit then re-opened your work you’ve probably noticed that Snap to Grid has turned itself off. Double check and make sure that it’s selected: VIEW-Snap to Grid. Making sure that my Color Specification boxes are set up so that the color I wish to draw with is in the top (overlapping) box, I can now draw. 1. If you’ve got the pencil tool selected and you think you’re drawing but no line appears, check to make sure that you don’t have an active selection window. To close any that might be open, use A. 2. To cut, you can use the selection box in the upper left corner of the Toolbox window or any of the other selection tools. The box is easiest to use because you can constrain it to snip out pieces even with the grid, making pasting on the grid easier. 3. It’s a bit easier to copy an area, then paste it immediately (using V) and then drag the result to its final resting place than it is to copy an area, reselect the original and THEN paste. If you do this, the new bit will end up in the middle of the active screen and grabbing it can be difficult. 4. If you paste something and wish to move it, mouse around until your cursor turns into a four-way arrow. If you don’t see the four way arrow and try to click and drag the newly pasted bit, you’ll excise and paste a small area of it in the current location instead. If this happens, remember that Undo Z is your friend. 5. OH NO! My drawing disappeared! No problem. You probably killed the entire PATTERN HERE layer by hitting X instead of Z. Undo with a real Z. 6. Moving using the Move tool (the little four-way arrow in the Toolbox) is manipulating the layer rather than the bit I just pasted. If this happens, check the options box for the Move tool. There’s a row of icons across its top. 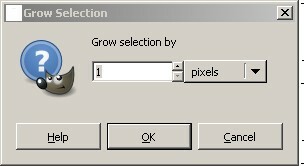 One is labeled layer, one is labeled selection (mouse over to show labels). Make sure selection is highlighted, not layer. Tomorrow we’ll cover image manipulation – flipping, mirroring and rotating. 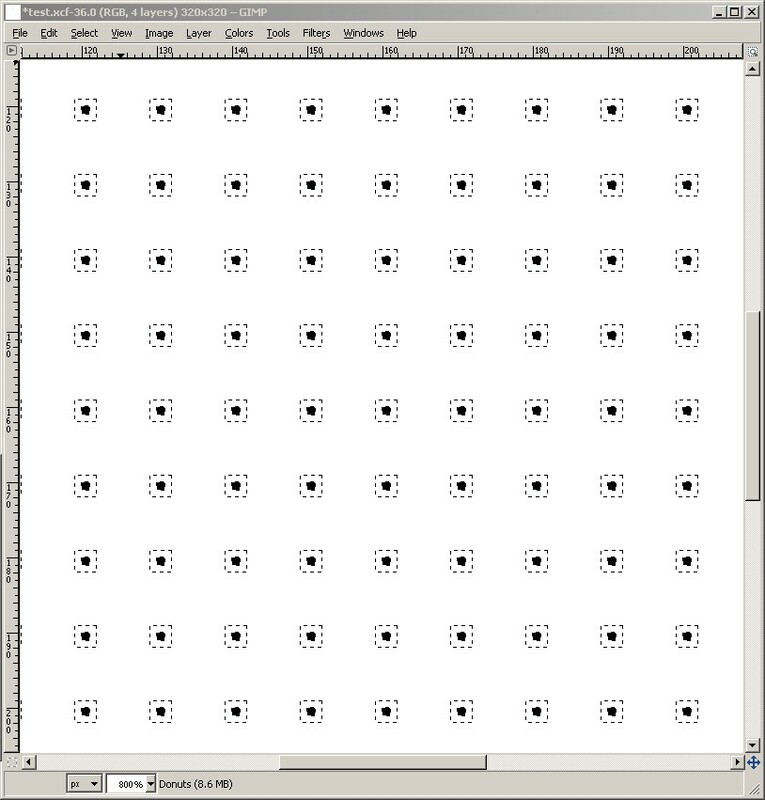 At that point we’ll have pretty much covered all I know about using GIMP for charting these patterns. If you have any questions on the material in this series, please feel free to post them here. #97, #101, and #102 are recharted off previous embroidery projects. The others are new, more doodles devised while I was preparing this collection. Most of the coming pages feature at least one fill as elaborate as #100. They’d be good for using in large, outlined areas, or as stand-alone fields on a sampler like those in the lower half of the famous Jane Bostocke sampler. 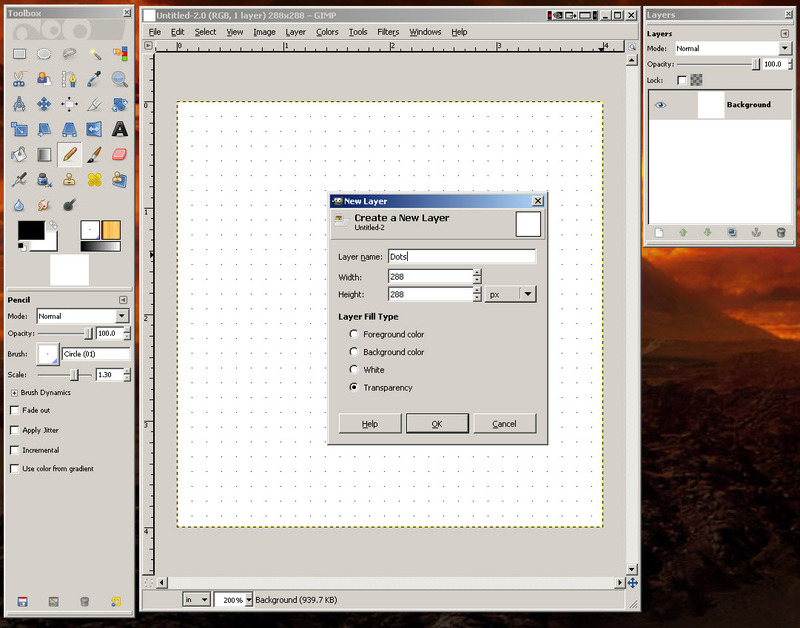 GIMP Chart Inga Tutorial 104 – Building the Design and Mask (aka Donut) Layers. In the last post we learned how to start a new layer. We need two more. First use LAYER-New Layer to create another new one. 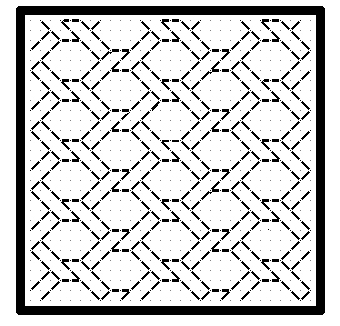 Name this one “PATTERN HERE”. You now have four layers: Donuts, PATTERN HERE, Dots and Background. Let’s create our donuts. 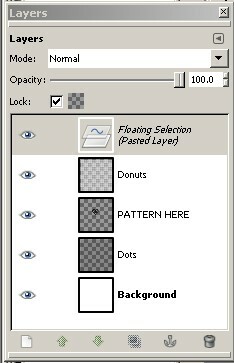 Make sure that Donuts is highlighted in the Layer navigation window. 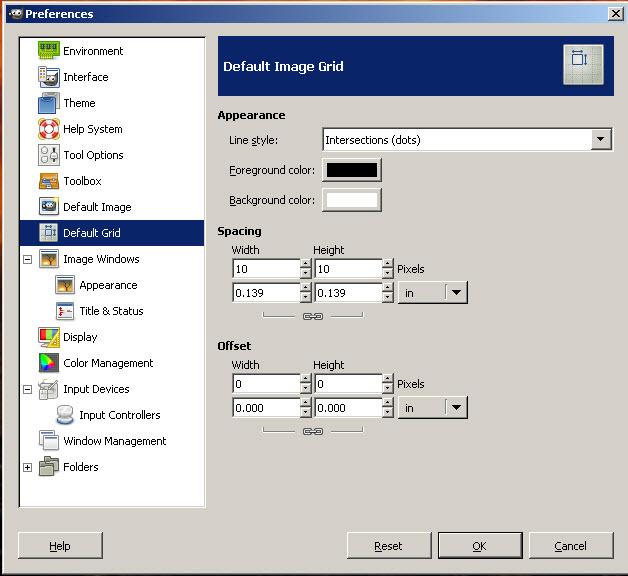 Then choose the Select by Color Tool from the Toolbox window. This is the one that looks like little stack of blue, red and green blocks, with a finger pointing to the red one. With that tool highlighted, click on any dot. ALL of the dots will begin flickering. (That’s good). You’ve now selected all of them. We need to fill the newly constructed borders with white. Up in the Toolbox in the lower left corner of the top panel, you’ll see two overlapping Color Specification boxes, with a little 90-degree two-headed arrow next to them. Click on the little two-headed arrow. This will swap your previous background color (white) with your old foreground color (black). You are now ready to use the color white to fill the donuts. Choose the Flood Fill Tool (it looks like a spilling paint bucket) and place the tip of its arrow cursor inside one of the highlighted donuts. Click, and ALL of the donuts will be filled with the color white. Now we need to get rid of the black dot in the center of each donut. Go back to the Select by Color tool (the stacked blue/red/green block and hand in the Toolbox), and click on one of the black dots. The outline around your donuts will disappear, and the dots will be highlighted again. With the dots highlighted, hit <ctrl>X. You will still see dots (they’re on the Dots layer), but the ones on the Donuts layer will now be gone. You can test this by clicking on the little eye next to the Dots layer in the Layer navigation window. Click the eye next to Dots, and the dots on your screen should disappear. Click it again and they’ll return. Remember to save your work. We now have our base grid structure and mask all set up, and we are now ready to draw a design. But more on that tomorrow. We’ve got ribbons (#91, use ganged like this or as a single border); another twirly (#93), and a bunch of wildly obvious tiny spot patterns (#94, six in one plate). I’ve used all of these teenies in my old projects, they’re very handy for filling in spaces too small to use other, larger patterns to any good effect. And they’re also very useful for background fields in voided work. It’s interesting that #96 at a distance reads like a basket weave. You can see that in the thumbnail. Now we can add our dots. To make the dots I’m adding easier to see, I’ve taken the highly optional step of making my original grid indicators appear in red (this is back on the EDIT-Preferences-Default Grid dialog. Foreground color = red). 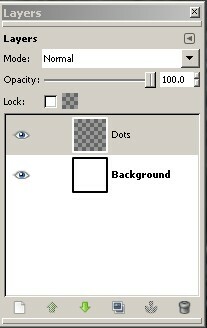 To add dots, I select the pencil tool on the Toolbox window. Tool-specific options will appear below the cluster of tool icons every time you activate a tool. Brush = Circle (01) – that’s chosen by clicking on the little square and picking the SMALLEST available dot. You can also increase the size of your drawing window so that the entire editable area is visible. Now using the pencil tool, click on EVERY ONE of the background grid dots. “Oh no! This is tedious”, you say. You’re right. We’re going to cheat. 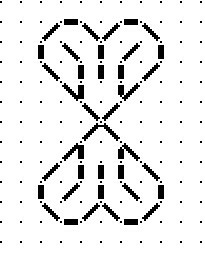 Click on a bunch of them, drawing about 3 or 4 rows of 6-10 dots. Now we’re going to copy and paste them. Because we’ve got our grid set we will be able to see exactly where to paste them. Select the square selection tool (the dotted line box in the upper left corner of the toolbox. Center the cross hair cursor it provides on your upper/leftmost dot, and drag the purple selection box to encompass all of the dots you wish to copy. (Make sure that the upper left corner is exactly centered on one of your drawn dots.) Hit <ctrl>C to copy. Move your cursor back over the area that’s twinkling until it turns into a little four-way compass arrow, now click and drag the twinkly dots on top of your grid dot indicators, taking care that they align exactly. If for any reason this goes wrong, do not despair. 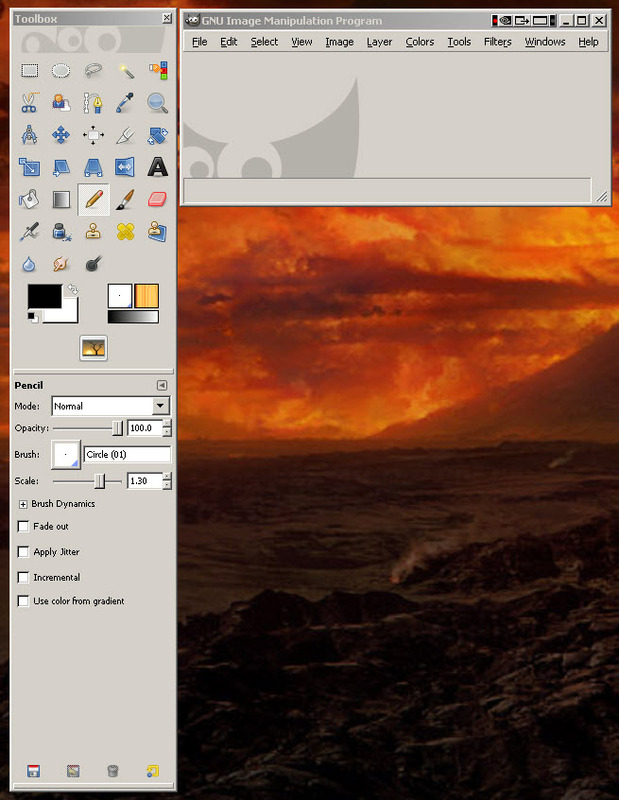 GIMP offers (near) unlimited <ctrl>Z undo. I repeat this process, grabbing ever larger areas of dots and pasting them until my entire field is filled. Needless to say, for a whole page this can get tiresome, but once that page is set up and saved it’s there for infinite re-use. Speaking of which – make sure you save your work before going on. In the interests of making these posts manageable, I’ll end here. Tomorrow we build the drawing and donut mask layers. All of the patterns on this page are new, doodled up as I was transcribing the older ones from previous booklets and previous projects. I’m a sucker for interlaces. 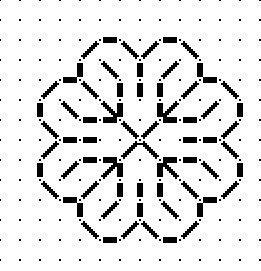 Try #87 with other small spot motifs (or nothing) in the centers of the intertwined wreathes. #88 is fun. It’s all 90-degree and 45-degree angles, but it gives the impression of close packed globes. #89 is not quite as mind bending as some of the other eccentric repeats. Younger Daughter sees two different design shiruken in it, but I think she’s been reading too many manga. To start, obviously you’re going to need to download the software. As I mentioned before, it’s free, and its available here. You’re on your own installing it on your particular machine. I don’t have access to a Mac or Linux machine here at home, but I’m assuming that look/feel are very similar across all platforms. Also, I’ll be covering this pretty slowly, aiming at folk who are totally unfamiliar with this style of program. I know lots of you are further along the learning curve, and will be tempted to skip ahead. “Go right ahead! Get messy! Make mistakes!” That’s the fun of learning. 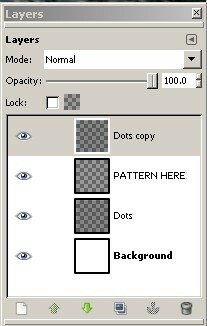 All caps will always refer to a menu item in the top line toolbar of the main GIMP window, with the items after that being in order of selection from that command’s sub-menus. This will open a dialog box in which you can specify your new file’s size, and the measurement units used in it. I suggest something small to start. 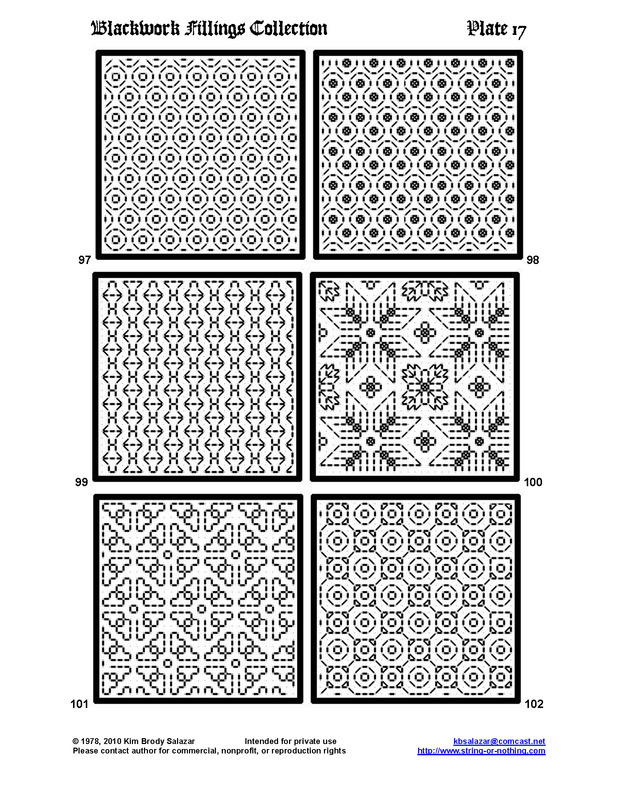 My little filling pattern swatches were squares of 320 pixels. And yes – I do advocate you use pixels as the measurement unit for now. This opens up a large universe of settings to play with. We’re only concerned with grid spacing. Look for the Default Grid icon in the Preferences pop-up box. Click on that. Under Appearance, select Intersections (dots) – this will render the reference grid in dot form so you can see where to draw your own later. For Spacing, enter 10 pixels width and 10 pixels wide. Under Offset, make sure both values are zero. Click OK. We’ve now got our grid, now we need to show it and constrain drawing so that we (mostly) end up creating dots and lines aligned with it. Save it. Good job. In the interests of keeping these posts manageable we end here. Tomorrow we’ll explore creating layers, configuring the pencil tool for making dots, and making the dot layer. For starters, let’s talk about drawing metaphors. Piece of paper and a crayon. Nice opaque paper. Nice (mostly) opaque crayon. That’s what many drawing programs feature, and what almost all of the stitch painting programs use. You draw something on the page, it’s there in one spot. It can be erased, rotated or moved, but it’s embedded on the page once it lands. Draw a cow next to a barn with an open door, and the cow stays there. It can’t be peeled off, razored out or slid over to stand in, on, or behind the barn without leaving a cow-shaped hole where it used to be (or taking a bit of the barn behind the cow along if you select and move the cow). MS Powerpoint and other lower-end drawing packs go one better, by adding a cut-paper collage type element to the crayon metaphor, with things that can be placed on top of other things. But even these “pieces of paper” ride not as independent layers but as daughter elements on a single page. And the stitch charting programs mostly stick to the crayon or collage models, although they do enable selection by a discriminating feature – in their case usually stitch type or color. There’s always room for quibbling, but by and large, these programs all reside in a very flat world. GIMP does not work like this. 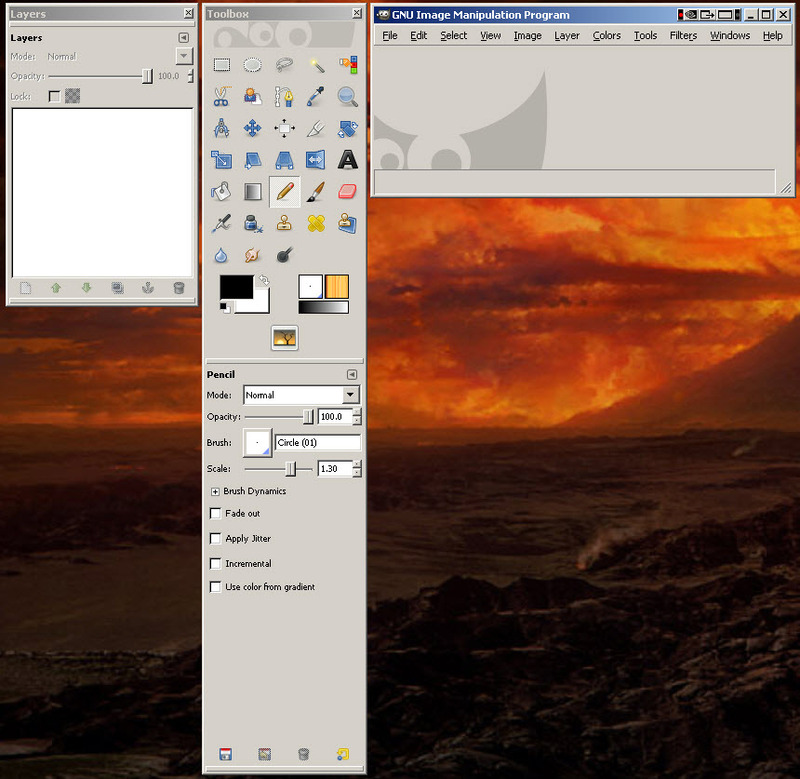 GIMP like many other higher end graphics programs offers multiple opaque, semi-opaque or transparent layers. Sounds confusing, but it isn’t. Think of it like an old-fashioned animator working on a cartoon. Animators worked in layers, painted on multiple sheets of a transparent plastic like material. When finished, those layers were stacked up, and the viewer looked down through the entire stack, seeing through the transparent bits to the drawings on the layers below. For an animator the lowest level would have been the background. In our farm scene, perhaps the green of the grass, darker green of the trees in the distance, and blue of the sky. Nice and solid. Then the animator would layer one or more transparent cells on top of the background. The next layer might be see through except for a painting of one big open-doored barn on it, and only the barn. There might be a third see through layer on top of that with a fence that sits in between the viewer and the barn. Now for a top layer, also transparent, and again with just one design element drawn on it. That one may have nothing on it except the cow. The animator could move these cells around. She could slide the one with the cow over so that the cow could graze on either side of the barn. She could change the order of the layers. If the cow layer was on top, it looked like the cow was outside the fence (between the viewer and the fence). If the cow layer was between the barn and the fence, Bossie was safe in her paddock. And if the cow layer was behind the barn and the cell was positioned just right, our pet could peek out of the open barn door. This is how GIMP works. It allows you to use multiple layers to isolate individual design elements, and to mask the layers below. Layers can be totally independent, or they can be ganged so that if one is moved, its pals move too, preserving the spatial relationship among them. They can be moved, reordered, rotated, flipped, hidden, or rendered more or less opaque. Instead of thinking flat, crayon and paper style, to use GIMP you need to think in onion-like layers. A layer containing little white “donuts” – very small white halos aligned to the dot grid in layer 2. The dot grid in Layer 2 established my layout – the grid spacing for my stitches. Layer 3 contained UNBROKEN lines, constrained to the established grid. Donut-bearing Layer 4 “eclipsed” the black lines, making them look like they were drawn as dashes. The hollow center of each donut let just one little dot of the underlying black line (or naked dot from way underneath in layer 2) show through. Once my basic four layer “page” had been constructed, the only place I did actual drawing on was Layer #3. I never touched the background, the dots or the donuts again. For the record, I suppose I could have condensed this into three layers, with the dot grid appearing ON my background, but it’s much easier to delete and replace a non-background layer, so I went with four. I never underestimate my potential to make a dumb mistake, so I always try to leave myself a graceful way to recover, just in case it becomes necessary. That’s the basic logic. The why of what I did. More on how to use GIMP to set up a four layer grid-constrained pattern page, starting in the next post. Given Chris Laning’s confirmation of our independently devised charting method, and my own impatience to get started, I’ve decided that using GIMP in the multi-layer mode is the way to meet my graphing challenge. That means one layer for background grid, one for pattern, and a “mask” layer of little white donuts around each grid point to separate the solid pattern lines into stitch units. Thanks also to Ariel who had a very innovative suggestion about using MetaPost, but the complexity of some of the patterns I will be doing will quickly exceed the practicality of her solution. 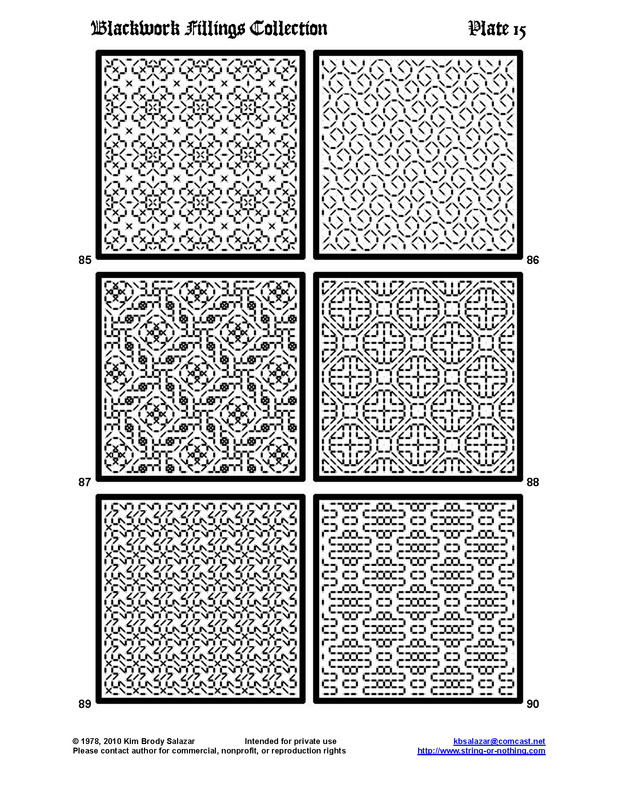 To practice up for these more complex designs I decided to regraph the collection of 72 blackwork fillings I published back in 1978, plus some more from my own notebooks that didn’t make it into that booklet. 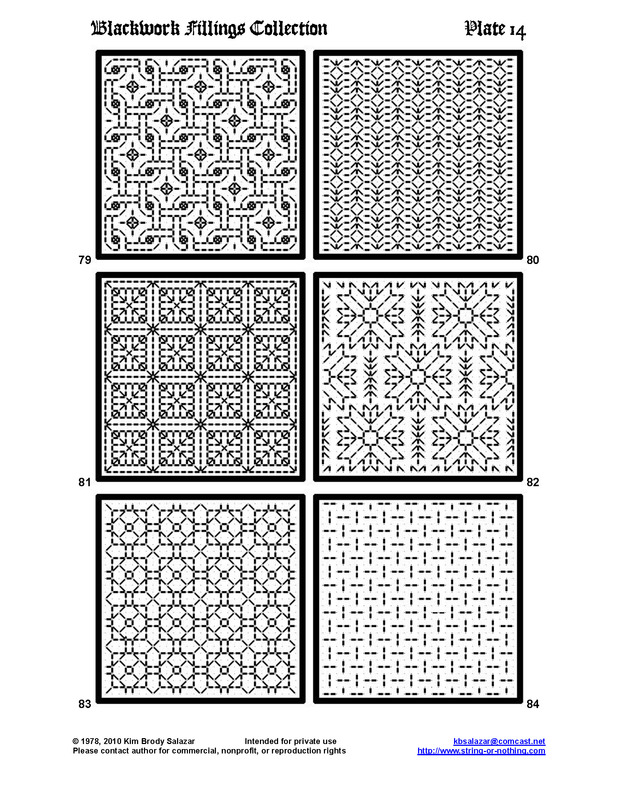 These are the fillings I used in the blackwork underskirt I stitched back in 1976-1977. Not being able to resist a doodle-capable medium, I’ve done up a few more, too. I’ve got about 100 of these fillings now graphed out in neat little squares and ready to share, but I’ve not decided on the most efficient sharing method. I’m leaning to composing them into pages, and sharing the pages one by one, so that they can be seen before they’re downloaded. An alternative would be making a new PDF booklet and post that. In either case, my intent is to publish them here for free download under my own copyright, rather than try to sell the thing. Here are two samples to whet your appetite. Any feedback? Suggestions? And special thanks again to Chris, who has asked that I spread the word among both SCA and non-SCA stitchers about a valuable embroidery resource. The SCA’s West Kingdom’s Needleworkers’ Guild maintains a very useful on-line library of articles on historical stitching – all from the hands-on perspective. You can find it here. I guarantee hours of fascinating reading and inspiration!